This fall, L.A. County voters will be asked approve a new tax on impermeable land (aka surfaces that don't absorb water). That's money that would go to fund new projects to catch stormwater, clean it and percolate it underground. The goal in this drought-plagued region is to increase the region's future water supply. The bar for passage is high. Two-thirds of voters in the Los Angeles County Flood Control District (more on that below) need to say yes. If that happens, then property owners would be charged a new tax of 2.5 cents each year for every square foot of land that sheds water. The Los Angeles County Board of Supervisors voted 4-1 Tuesday to place the measure on the Nov. 6 ballot. The proposal was co-authored by Supervisors Sheila Kuehl and Hilda Solis. The sole "no" vote came from Supervisor Kathryn Barger who voted against it because it was not narrowly focused on cleaning pollutants from stormwater. AM I IN THE LOS ANGELES COUNTY FLOOD CONTROL DISTRICT? 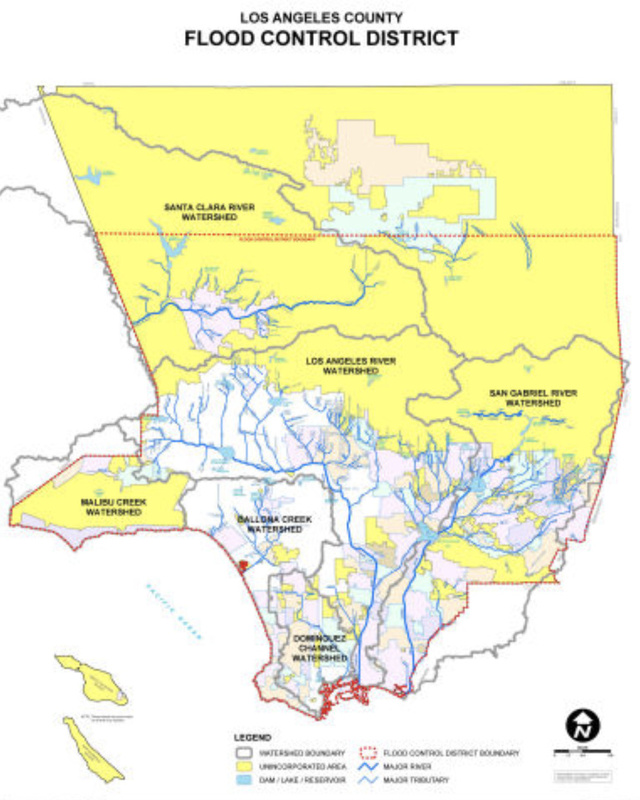 The Flood Control District encompasses more than 2,700 square miles and approximately 2.1 million land parcels within 6 major watersheds. It includes drainage infrastructure within 86 incorporated cities as well as the unincorporated County areas. This includes 14 major dams and reservoirs, 483 miles of open channel, 27 spreading grounds, 3,330 miles of underground storm drains, 47 pump plants, 172 debris basins, 27 sediment placement sites, 3 seawater intrusion barriers and an estimated 82,000 catch basins. WHAT WOULD WE BE PAYING FOR? Los Angeles County already captures about one-fifth of the rain that falls in the L.A. Basin watershed. Money raised by the new tax — an estimated $300 million per year — would ultimately double the amount captured. Cleaning it and injecting it underground could reduce the need to import water from the Eastern Sierra in Northern California and from the Colorado River. But let's talk cost. The tax would add about $83 to the annual property tax bill for owners of a typical parcel of about 6,000 square feet. The actual per-parcel tax would be calculated for every single parcel based on an aerial survey using equipment known as Lidar, which estimates the square footage of roof, driveway, patio and other paved surfaces that create water runoff. Businesses would pay the same 2.5 cents per square foot rate as residential parcels. About two-thirds of the land mass in Los Angeles County holds homes. All property owners, both residential and commercial/industrial can reduce their tax by installing measures to catch storm runoff. WOULD EVERYONE HAVE TO PAY THE TAX? Non-profit and religious organizations that already are exempt from paying the county's property tax would also be exempt from paying the stormwater tax. Public schools and other government agencies would also not pay the tax. In addition, low-income seniors could apply for an exemption. The measure would allow the Board of Supervisors to add an exemption for low-income homeowners in the future. COULD A BUSINESS REDUCE ITS BILL? Businesses that prove they already capture and reuse storm runoff can get a credit to reduce or even eliminate their share of the tax. The measure requires businesses to prove every two years they are capturing and treating stormwater. A representative for the Building Industry Association of Southern California asked for that two-year re-application for the credit be lifted. The Los Angeles Business Federation also wanted the tax to be re-examined and possibly reduced or eliminated after 30 years. NBC Universal Sr. Vice President Steve Nissen told the supervisors that would enable businesses like Universal Studios to get back some of the money it already spends on capturing and reusing storm runoff that falls on its 400-acre campus. The tax would be based on the number of square feet that appear to be hard, impermeable surfaces, as estimated by an aerial survey. Property owners will be able to request a lower tax if they can show they have less of those hard surfaces, or have installed measures to reuse rainwater. At the meeting where the tax was approved for the ballot, some speakers questioned the tax measure. Like business owners, they argued it would be burdensome for parcel owners, especially homeowners, to hire their own engineers every two years to re-certify their property to receive the tax credits for reducing stormwater runoff. I RENT. WHAT WILL THIS COST ME? The cost to renters depends on how much of the tax landlords pass on. In some rent-control communities landlords can pass on the full cost. In other communities, it's up the landlord to decide how much of the tax to pay or pass on. THE TAX IS MEANT TO CATCH STORMWATER, BUT WHAT ELSE WOULD IT DO? The $300 million annual tax revenue would fund jobs to build and maintain stormwater capture structures. Some of the projects would involve tearing out ballfields at schools and parks, installing underground water collection vaults and then rebuilding the play areas above. The projects are intended to also increase the amount of green and open space within the mountains-to-ocean watershed. Some advocates for the tax translate that to mean that some parts of the L.A. Basin that are hot and treeless could get a better tree canopy, which could cool the neighborhood down. A lot of the projects that consume big plots of land could also be constructed with recreation assets like running and bike trails, and water features similar to the Dominguez Gap Wetlands in Long Beach. Climate change is one motivator. 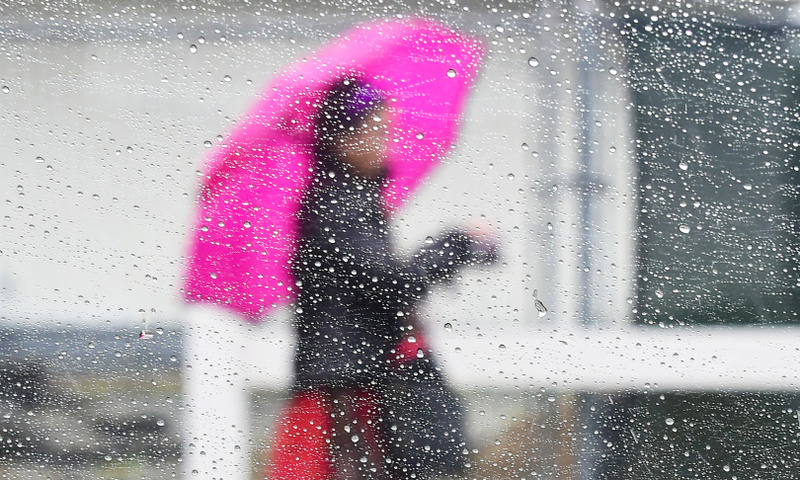 Scientists have said the Los Angeles region is due to get fewer, but stronger and wetter storms. Capturing more of the rain that falls on the L.A. region can reduce its dependence on imported water. Also, catching rainfall close to where it lands helps keep trash and pollution from washing off streets and into channels and aquifers. Andy Lipkis of TreePeople said the projects funded by the new tax could increase the tree canopy for poor communities. And that, he said, would keep people cool and reduce illnesses and deaths resulting from heat waves, a growing concern as temperatures continue to rise. The region's flood-control measures, those concrete channels and rivers the L.A.-area is famous for building, date back to the 1940s and 50s and were built to funnel rainwater quickly to the ocean, not capture it for reuse. Fees from property owners and water users pay for flood control, sewers and drinking water. There is no separate funding for capturing and reusing storm runoff even as the state pushes local governments to do so. A new state law puts the burden and costs of stormwater capture on cities and counties throughout California. "We certainly don't need 88 separate tax measures," to accomplish stormwater capture in the many cities within Los Angeles County, said Monrovia City Councilwoman Gloria Crudgington. "We are stronger together. Half the tax money collected would go to region-focused projects, 40 percent goes to projects within cities, and ten percent is for projects of the Flood Control District. Planning for the tax began about two years ago. That's when the county did a study of the resilience of the county's water supply that concluded it would take about $20 billion in projects could double the amount of stormwater captured, cleaned and reused. Representatives of a number of environmental groups, labor unions and construction groups and social justice groups all spoke in favor of the new tax. The Los Angeles Chamber of Commerce, once opposed to the tax, moved into the neutral column after the county altered the proposal to provide a larger credit to businesses that do more to reduce storm runoff. Tracy Hernandez, of the L.A. BizFed said the measure should have a "dusk" clause that would end or diminish the tax in 30 years. She also said the 2.5 cents per square foot of impermeable area tax should be lowered by one-half cent. She also criticized that the measure did not state what specific projects would be built with the money. "Please get it right," Hernandez said. "This final draft has some major problems, mainly it's a forever tax." Barbara Graham, spokeswoman for the Torrance Refinery, a BizFed member, said the county's estimate of the refinery's impermeable surfaces was inaccurate. It was an objection also raised by Union Pacific Railroad spokeswoman Lupe Valdez, who asked the board for a delay. Sierra Madre would gain nothing from the tax, said Councilman John Capoccia. He described existing limits on pollutants flowing into the San Gabriel and Rio Hondo channels as expensive and unreasonable.